Sir, I want to thank the community for their ongoing support of the NT Music School choral program and the Alice Beat Festival in 2015, 2016 and especially 2017. 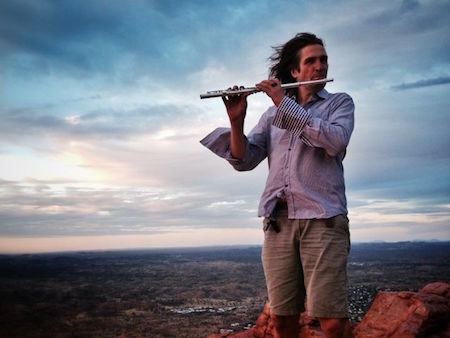 Left: Flautist and music teacher Markus Kuchenbuch. I also want the community to know that the position of Artist in Residence is apparently no longer needed at the NT Music School. The implications are that I will no longer be working for the NT Music School. This is a matter of great regret for me. I should add that I recently started my Masters of Teaching after becoming an Australian citizen to meet the requirements for ongoing employment within the NT and Australian Education System. Nevertheless, I thank you all for the beautiful two and a half years I was able to spend with you and your children working on music education in the Central Desert of Australia. 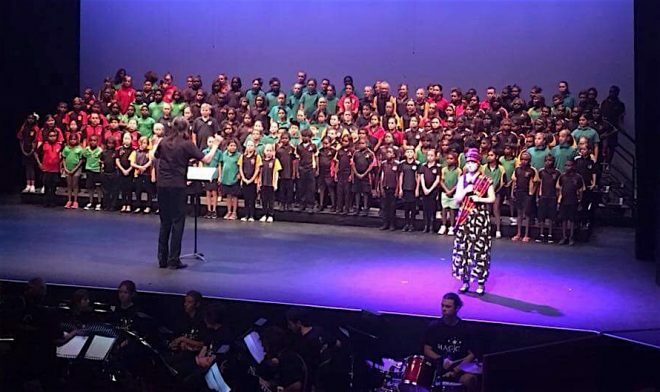 The combined choirs from the Barkly and Alice Springs region at this year’s Beat have been the result of this pioneering work I set out to accomplish in the region by establishing a choral and ongoing music culture. It has been an honour working beside such dedicated teachers and principals and I am certain that our paths will cross again. I am grateful for the opportunity I have had to dedicate my time and passion to the students of more than 25 communities and the seven town schools that I was able to engage with over the past years. I wish you a great summer break and a fantastic new year in 2018. I look forward to continuing the exciting music education and choral work in the future, should that opportunity arise. Below: Alice Beat Festival 2017. Very sorry to hear this Markus – your VISION, energy, creativity, commitment and relationships to the children throughout NT, and of course your musicianship and talent – is outstanding – and will be sorely missed. Hopefully NT Music can find a way to keep you. My son playing the alto sax, has learned so much from you and been stretched each year by the ambition of Alice Beat. Fantastic. We are both shocked to hear this news. As Jason says: “onwards and upwards” for you. It is our loss.